This winter has been brutal when it comes to allergies and the flu – Austin is tricky this time of year! The running joke is that if you don’t have allergies now, just give it a few years! It can feel hopeless, but we have ways to help! What are some things that can help you and your family survive these challenges? 1. Acupuncture: this treatment is fantastic for relieving sinus pressure & allergy symptoms. Most patients find a clearing of their sinuses immediately in the session. The process is gentle & takes about 30 minutes and is more relaxing than you might guess! If you are being treated for this issue, usually being seen 1 time per week is a great way to go. 2. 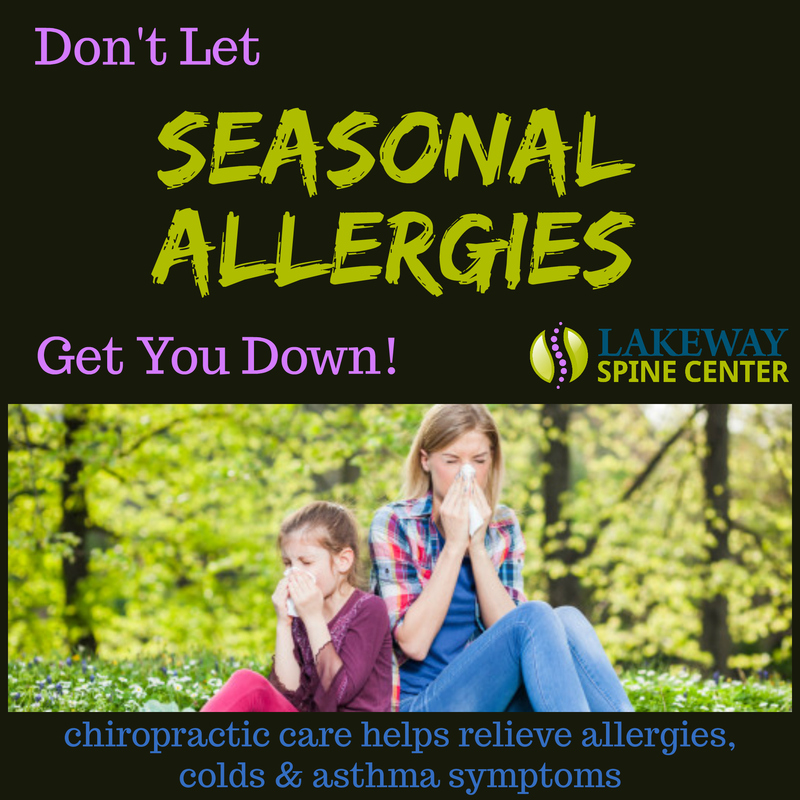 Chiropractic Care: Chiropractic Adjustments help to relieve allergies, sinus, and asthma symptoms. A huge benefit of chiropractic care is a boost to the immune system. Since chiropractic deals directly with the Central Nervous System, it has an impact on every cell in the body. People getting adjusted regularly show a 200% greater immune system competence than those who don’t. That’s a pretty major statistic! 3. Juice Plus: Juice Plus is a blend of nutrients from actual plants (fruits and veggies) combined to provide a wide variety of nutrition. Comes in either capsules or gummies (which taste great and kids love)! This daily nutrition helps to keep immune systems strong and better able to handle seasonal allergies. You can even receive a kids order for FREE with each adult order! I put my daughter’s right in her lunch box every day to make sure she gets a boost in nutrition. We’ve got samples in the office to try! 4. Homeopathic Nasal Sprays: ClearLife and ReBoost are amazing nasal sprays for dealing with allergy symptoms and sinus pressure. These sprays are gentle enough for kids to use while still effective in symptom reduction. Works beautifully for both cedar, mold, and even pet allergies. We carry it in the office – stop by to pick yours up!